Trinity provides a variety of programs for youth to engage in service, fellowship and education. The youth of Trinity are encouraged to serve their church, their community, and the world by participating in fellowship and social ministry efforts, property projects, assisting as worship helpers and Sunday School teachers, and sharing their talents in our various music groups. Sunday school is offered between our worship services from 9:45 - 10:45 for 7th and 8th Grade. The 7th and 8th grade experience is integral to our confirmation program as our youth prepare to become full-fledged members of the congregation. The biblical stories, catechism and life considerations complement the weekday confirmation program (see below). High School Youth. Our high school age group will explore aspects of their faith and beliefs using bible stories and current events to frame discussions. The objective is to assist these youth in determining how to live among God's faithful people while being a light to the world around them. Also see Youth Group/TLC Disciples and Owl's descriptions for fellowship and service activities which complement our Sunday School program for 5th - 12th graders. Our two-year Confirmation program prepares our youth to become full-fledged members of the congregation. Activities and lessons are designed to help confirmands explore and address their intent to continue in the covenant God made with them in Holy Baptism. The program includes church related service activities as well as a capstone project. Our confirmation class will address faith and life topics including the Bible with emphasis on the life of Jesus, our history as Lutherans, and church doctrines. More importantly, together we discover and explore the meaning and importance of the Christian faith in our lives and how this faith fits into our modern world. We assist and encourage these youth to determine how to live among God's faithful people while being a light to the world around them. Please join us as we uncover and discover our faith together. Weekday classes gather on the 2nd and 4th Tuesday of the month. The 7th and 8th grade Sunday School classes (noted above) are integral to the confirmation program. OWL - The OWL (One With the Lord) group is for students is Grades 5-8. They have a regular schedule of service and fellowship activities. TLC DISCIPLES - The TLC Disciples is for those in Grades 9-12. They elect their own officers, who serve on a school calendar based year, to help govern the group. 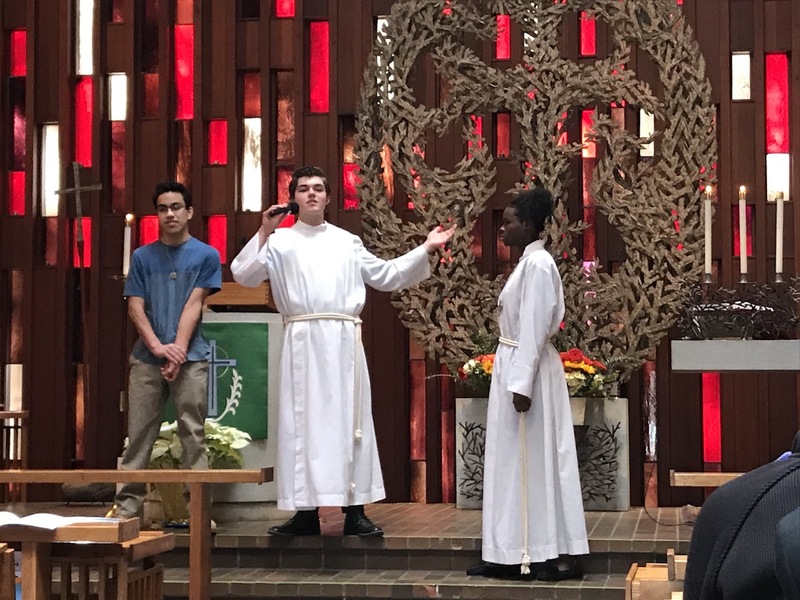 Many youth participate in the programs offered by the ELCA, such as the national youth gatherings, and the New England Synod, such as the annual Youth Gathering at Hammonasset or various programs offered at Camp Calumet. An integral part of our Youth Ministry is the support of Scouting programs. Trinity is the chartering organization responsible for BSA Troop 75 and Venturing Crew 7. Trinity has welcomed and hosted Boy Scout and Girl Scout troops and other Scouting groups at the District and Council level as well.